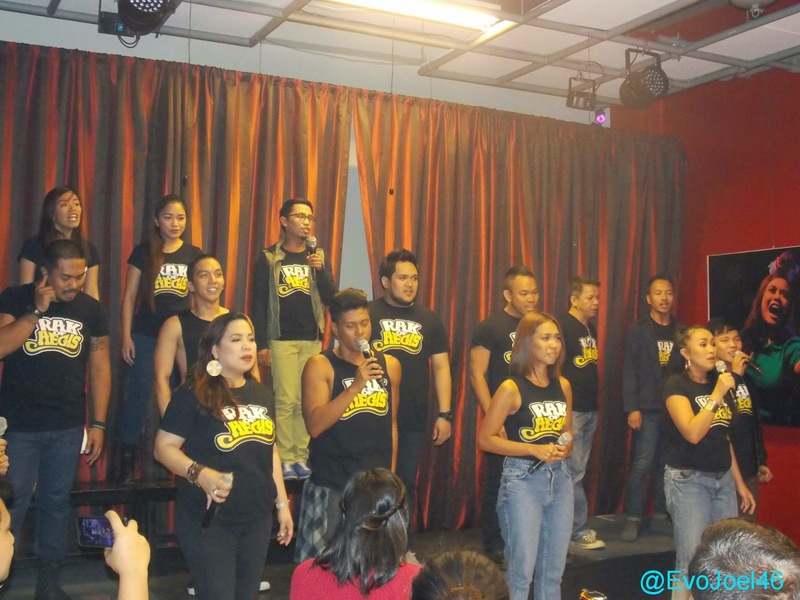 Evo & Grace: The WanderLusts: RAK OF AEGIS Is returning this June 2015. The Phenomenal Original Pinoy Musical Rak Of Aegis is returning to stage in PETA Theater this June 2015, the hit crowd favorite and comedy musical featuring the songs of Aegis band had already 135 shows in total last year, and this time they will be like broadway wherein six days in a week is the scheduled shows starting June 17 to August 16, 2015. Stage Director Maribel Legarda said on a presscon last May 6, 2015, that there will be no major changes, nor script revisions for Rak staging this year, even the set is still the same. But what exciting for it is the inclusion of the song “Sayang na Sayang” and the new cast that will give flavors for the same old characters in Brgy.Venizia. But what makes Rak of Aegis such a hit?, Legarda enumerate the reasons, first it’s the songs of Aegis band that is truly popular, the flood culture theme of the story wherein many Filipinos especially in Metro Manila can relate to it, the comedy that is, the wonderful actors and being an original masterpieces. Kapuso star Aicelle Santos , along with 2009 WCOPA Champion Kim Molina will still be doing the lead role Aileen. The new actors for this season of Rak are Actor/singer Lorenz Martinez who will play Aileen’s Father, opposite Lani Ligot, who will plays Mercy, Aileen’s Mother. Singer and member of The Company Sweet Plantado is cast as Mary Jane, and Roi Calilong and Teetin Villanueva are the newest members of ensemble.